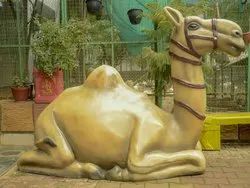 We are a leading Manufacturer of metallic swan pair, fiber animal statue - hound, fiber - giraffe statue, fiber camel-real look, camel show piece and mahatma gandhi statue- metallic color from Bhilai, India. Swan Pair is consisting of durable FRP and polished for long lasting good looks with self standing Base. A Nice Decor And As Per Vastu Shastra Bring Serenity, Harmony, Peace, Long Life, And Money In Your Home. You can put it in living room, bedroom or office to increase the luck. 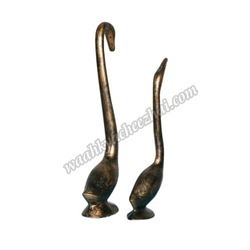 This beautiful set of two swan love birds brings a traditional and attractive look to your house. Made of FRP. The Cutest Animal Statue Animal Symbolises Strong bond of loyalty and companionship between a Animal and his owner. 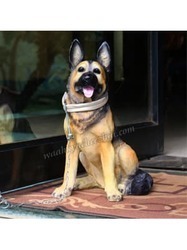 Animal Statue Showpiece, is a Figurine for Home Decor. This exclusive Product is perfect for gifting to your loved ones. All products are made in India. May Be Our Price Is Not the Lowest but Quality Never be Cheap. This beautiful piece of art is made up of finest quality of FRP. This Is Only One Of The Many Unique Items We Are Currently Carrying. Hound The Cutest Animal Statue best to be Decorated in Big Hotel , Malls etc. It Will Come In Fine Finishing Handicraft. 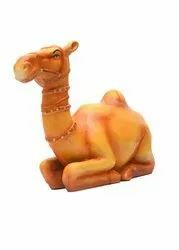 Display your refined taste in Garden decor and aesthetic beauty with this stunning FRP handmade real size camel. 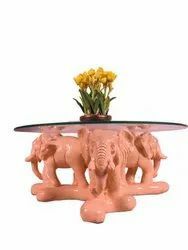 design giving it attractive look.best for garden decor and gifts to your dear ones. you can also decorate Temples, educational areas Dimension- Height:- 4.4 feet, Width-2.59 feet, Depth-7.05 feet, Weight:-54 kg. Gandhiji, In India he is also known as Bapu and Rashtrapita, the symbol of love, unity, and inspiration for all, because of his greatness, idealness. 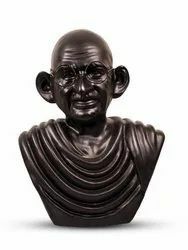 This FRP made a firm statue of Mahatma Gandhi in Metallic color made, to spread his thoughts around the people. Its finished design with perfect base makes it suitable to place in home, offices, schools, Historic places, museums, conference hall, government offices etc. 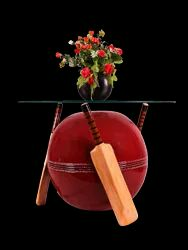 Approx Dimensions: Height- 32 inch, Width- 25 inch, Depth- 19.5 inch, Weight- 10 kg. Approx Dimensions: Height: 20 inch, Width: 18.5 inch, Depth: 18.5 inch, Weight: 6.35 kg. 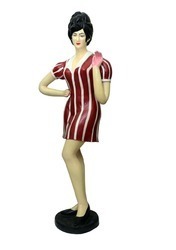 This statue is uniquely designed, and is used for decorating purpose makes the place elegant and vibrant look. 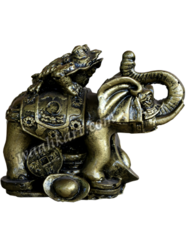 A perfect gift: It is the Best Gift for Marriage Anniversary, Parents, Mothers day, Wedding Return Gift, Birthday, Housewarming, Office / Shop Inauguration, Festive occasions - Like Diwali, Raksha Bandhan, Grah Pravesh and Corporate Gifts, The turtles Shaped Statue is a Very famous Vastu Product. 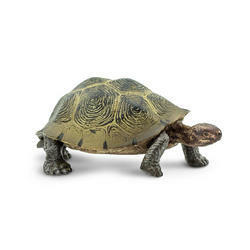 According to Indian Mythology, Tortoises is very important for money matters. With some thoughts, Turtles is a representative of the Hindu god. Use a Vaastu of Feng-Shui Articles. 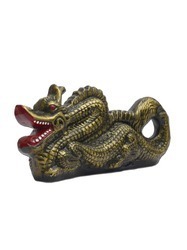 Decorate your interiors in an interesting manner with this classy showpiece featuring a dragon figurine. 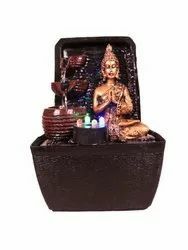 This amazing showpiece can be placed in your living room or in your office and is considered highly auspicious and known to give positive vibes all around. It is also used as a Bookend. The statue is made up of FRP in our antique finish with a protective coating over it. We present a decorative figure Ice Cream. 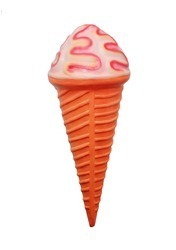 This beautiful oversized reproduction of an ice cream cone is ideal for game room decor or restaurant, cafe, or any special event decor. The cone comes with brackets already attached to the back for a smooth assembly process. Hand painted for a realistic look. Brackets already attached to back of item. Ancient Egyptians believed Pet Animal to be the embodiment of Bastet, the goddess of the sun's warmth and life-giving power.The highly-detailed, quality designer fibre indoor reproduction is hand-painted in the rich metallic and gold of the Egyptian palette. 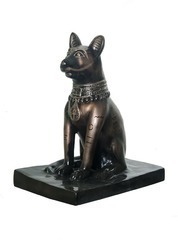 Ideal present for Pet Animal lovers or Egyptian enthusiasts. This Figure in a Meditation poses radiating peace and Harmony. Traditional symbolism is combined with modern design in this piece of abstract art. Its open lines and simplicity will enhance any decor with joy. Gives a great look to your garden. A vision of understated elegance, these magnificent white deer have a warm white finish that highlights their intricate detail. These divine white deer which evoke wintery wonderment and magic, are bound to charm your friends and family. A Place on the mantelpiece, sideboard or even the Dining table for elegant effect. This statue is a highly detailed, well-made work of art constructed of fiber. 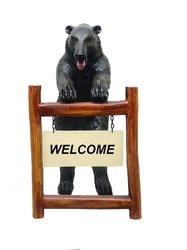 You will be very pleased with the quality of this fantastic bear statue. The sign appears to be carved on a fiberboard, giving this piece of art an authentic woodsy feel. Crafted from high-quality material, the statue is able to withstand the elements outdoors. Allow this neighborly bear to greet friends and family from your doorstep and serve as a reminder of great times spent with loved ones. We offer a wide variety of distinctive art sculptures for home, offices, gardens and many more. 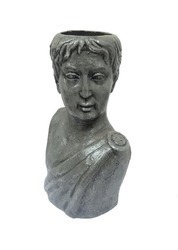 Our range of Lady Statue is highly demanded across the markets. For making these statues we use high quality of FRP. Our highly skilled artisans are well qualified to perform the best job in this field. Fine Finishing, unbreakable, weather resistant. The incredible details depicted on this Animal truly make it museum quality. FRP Animal Statue Animal Symbioses Strong bond of loyalty, and companionship between a Animal and his owner. This Multicolour Animal Statue Showpiece is a Figurine for Home Decor. This exclusive Product is perfect for gifting to your loved ones. All products are made in India. May Be Our Price Is Not the Lowest but Quality Never be Cheap. This beautiful piece of art is made up of finest quality of FRP. This Is Only One Of The Many Unique Items We Are Currently Carrying. The Cutest Animal Statue best to be Decorated in Big Hotel , Malls etc. 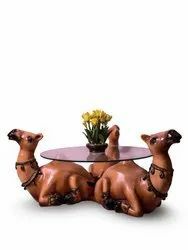 Swan consisting of durable Fiber and polished for long lasting good looks with self standing Base.A Nice Decor And As Per Vastu Shastra Bring Serenity, Harmony, Peace, Long Life, And Money In Your Home. It is used as Paper weight too. You can put it as a Show piece, in living room, bedroom or office to increase the luck. We are offering you A Beautiful Spiritual Keepsake for yourself or to send as a Gift to Someone Meaningful in Your Life. Animal Symbolises Strong bond of loyalty and companionship between a Animal and his owner. 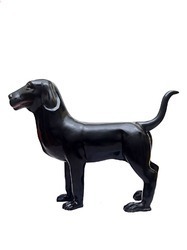 This Animal Statue Showpiece is a Figurine for Home Decor. This exclusive Product is perfect for gifting to your loved ones. All products are made in India. May Be Our Price Is Not the Lowest but Quality Never be Cheap. This beautiful piece of art is made up of finest quality of FRP. Animal Belt shown in the picture is not the part of it. This Is Only One Of The Many Unique Items We Are Currently Carrying. Its carefully crafted details, ethnic decor takes you back to a different era of living.Your house becomes a home with products that transcends generations.Influenced by ethnic art and literature, this style of decor is designed to balance design with the practicality that your home demands.It will increase the Vastu effects to your arena.It may used as a lucky charm.Best for gifting. An idol product for Gifting to your friends and relatives. Hindu religious bird (symbol of wisdom) and important in Feng-Shui literature. An exquisite Statue from the waahkart Designs More than Words collection of sentimental sculptures. A charming Statue capturing the moment between Mother &amp; Daughter showing, A Mother's Love. Mother is a great teacher, This statue is all about how the mother is helping her child in her studies. Animal Symbolizes Strong bond of loyalty and companionship between a Animal and his owner. 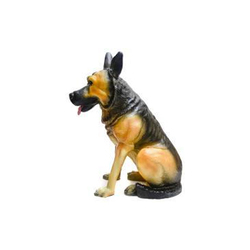 This Multicolor Animal Statue Showpiece is a Figurine for Home Decor. This exclusive Product is perfect for gifting to your loved ones. All products are made in India. May Be Our Price Is Not the Lowest but Quality Never be Cheap. This beautiful piece of art is made up of finest quality of FRP. Animal Belt Shown in this picture is not the part of it. This Is Only One Of The Many Unique Items We Are Currently Carrying. Approx Dimensions: Height: 7 inch, Width: 5 inch, Depth: 5 inch, Weight: 500 gm. Approx dimensions: Height- 19 inch, Width- 47 inch, Depth- 47 inch, Weight- 44 kg. Approx Dimensions: Height: 12 inch, Width: 24.5 inch, Depth: 24.5 inch, Weight: 15.6 kg. 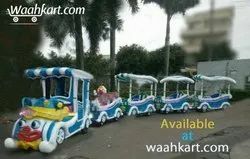 We are the manufacturer of Toy Train, Trackless Train, Park Train etc. Prices are excluding GST and Transportation. Installation charges are 15,000 INR. Display Standing high on a base equipped with Plate of FRP for free standing. It has real shoelaces and proudly wears an All American Wrapper! Perfect for Hot God stands or any restaurant decor and promotional advertisement. This great food display measures.This Hot attracts the people in your surround, People's are crazy about. This Statue will make them crazier. statue is made up of Fiber reinforced plastic. Unbreakable, weatherproof statue. Looking for Real Look Statue ?